Put 1/2 of the cilantro, onion, and chili in a bowl or mortar and pestle. Mash together until well mixed and paste-like. 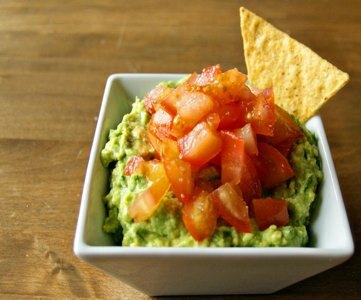 Put the avocado in a bowl and add the paste. Mash together with a potato masher or the back of a fork, leaving some rough chunks.